On Tuesday, February 7, Senate Republicans voted to silence Elizabeth Warren on the floor of the Senate. Why? She dared to read aloud from Coretta Scott King's famous letter detailing Jeff Session's history of racism. Mitch McConnell said of Warren, "She was warned. She was given an explanation. Nevertheless, she persisted." In that moment, he gave us a rallying cry. 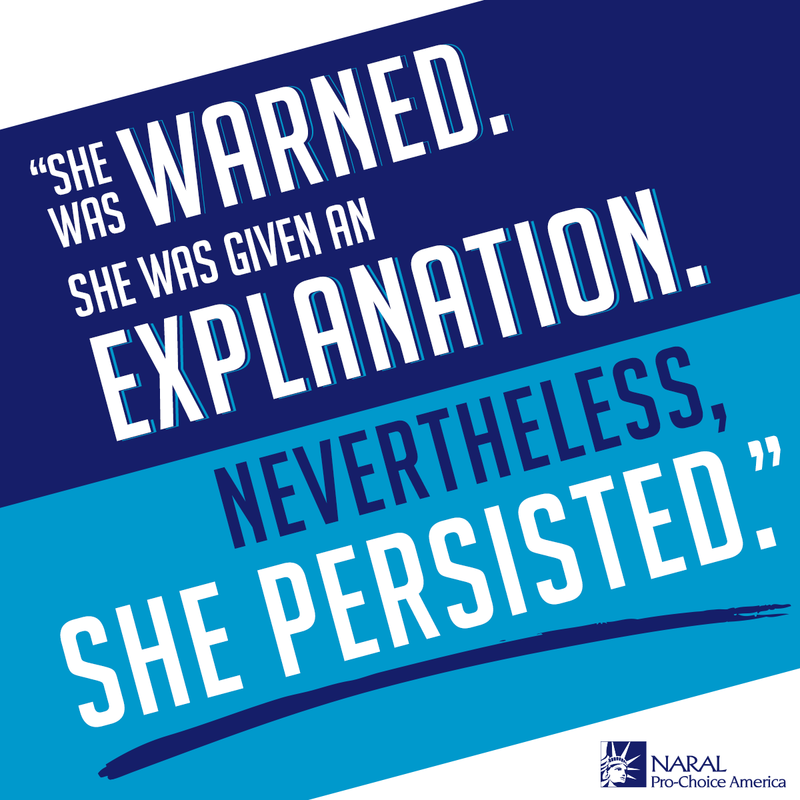 Sign up to receive a FREE "She Persisted" sticker, and have an everyday reminder to keep resisting and keep persisting. Limit one sticker per customer. Estimated shipping time is 4-6 weeks. Please enter your shipping information carefully, as errors may cause your shipment to be held up or cancelled. At this time, we are not able to ship orders to destinations outside of the United States or its territories. If you have questions about your order, please contact us at membership@prochoiceamerica.org or 202-973-3000.